Israel's transfer pricing regulation is provided under Section 85A of the Israeli Tax Ordinance (Section 85A), which came into effect on 29 November 2006. Guidance regarding transfer pricing is incorporated under Tax Circular 3/2008. A recent update regarding the operations of foreign multinationals in Israel via the internet is included in Tax Circular 4/2016. This new Circular, inspired by the OECD's BEPS Action 1 concerning digital economy, provides new guidelines and rules under which foreign companies' income derived from selling products or providing services through the internet to Israeli residents (digital activity), will be deemed the income of a permanent establishment (PE) in Israel for tax purposes. The Circular distinguishes between foreign enterprises that are residents of a treaty state (treaty resident companies) and foreign enterprises that are residents of a non-treaty state (non-treaty resident companies) and provides different rules for determining the attributed income to the Israeli PE for either of the aforementioned companies. The regulations promulgated under Section 85A (the Regulations) adhere to the arm's-length principle and incorporate both the OECD Transfer Pricing Guidelines for Multinational Enterprises and Tax Administrations (the OECD Guidelines) and Section 482 of the US Internal Revenue Code (Section 482) approach towards determination of the correct analysis methods for examining an international transaction between related parties. The scope of transfer pricing regulations in Israel is limited to cross-border transactions in which a special relationship (as defined below) exists between the parties to the transaction. Normally, transfer pricing issues arise in relation to transactions carried out by companies that are part of a multinational group; however, the Israeli Tax Authority (ITA) has recently been implementing the principles of Section 85A on an unofficial basics in relation to related-party transactions within Israel. According to Section 85A and the Regulations, the tax-assessing officer may issue an approval that certain one-time transactions may be excluded from the scope of the Regulations; however, such approvals are rare. The term 'special relationship' includes the association between an individual (including an entity) and their relative, the control of one party to the transaction over the other or the control of one individual over the other parties to the transaction, whether directly or indirectly, individually or jointly with other individuals. the right to determine which party will have one of the above-mentioned rights. A relative is a spouse, sibling, parent, grandparent, child, spouses' child and the spouse of each of these. However, the ITA can often perform a qualitative test for the above threshold, and look at a transaction even if the threshold itself is not met. The Regulations cover various types of transactions including: services (such as R&D, manufacturing, marketing, etc. ); the use or transfer of tangible and intangible goods (i.e., distribution); the use or transfer of intangible assets (e.g., know-how, patents, trade name or trademark); and financing2 (e.g., capital notes, guarantees, captive insurance, loans) transactions, which are required to be carried out at arm's length. Due to the nature of the Israeli market, the ITA gives special attention to R&D services provided by Israeli subsidiaries and matters relating to intangibles, which may also involve governmental support. examine whether the tested party's results fall within the arm's-length range. According to the Israeli transfer pricing rules, the initial burden of proof lies with the taxpayer. As such, companies not transacting at arm's length, or which do not hold the required transfer pricing documentation (proving their compliance with the arm's-length principle), are exposed to penalties and change of pricing according to the ITA's discretion with a narrow arguable position, and would be required to adjust their net income to incorporate the appropriate transfer prices for their intra-group transaction. This unilateral adjustment could lead to double taxation regarding income that was taxed in other jurisdictions. In rare cases where a transaction between related parties lacks any commercial rationality (namely, the same transaction under similar economic circumstances would not be agreed between non-related parties), the ITA may choose not to recognise the transaction in its original form, and may treat it as an entirely different type of transaction that in its view would reflect the business reality of the transaction in a more adequate manner. Such re-classification of transactions can relate, inter alia, to the treatment of inter-company loans or cash pooling or non-repayment of inter-company debts, as dividends, as well as to the ownership of intangibles. Non-recognition can be contentious and a source of double taxation, and, while derived from Section 85A, is based also on Section 86 of the Israeli Tax Ordinance. With regard to accounting treatment of transfer pricing positions, the main issue currently under discussion in Israel relates to the recognition of expenses with regard to employee stock option plan (ESOP) matters (see Section VII.i), where the matters of vesting, exercise and cancellation of options granted to the employees of an Israeli subsidiary by the parent corporation are being considered; some of these aspects are currently in discussion in the Israeli Supreme Court (see Section VII.i). Taxpayers engaged in a cross-border controlled transaction or transactions are required to include in their annual tax return a special form (Form No. 1385), specifying their intra-group dealings (such as the volume of the transactions, transaction type, terms and conditions and the parties thereto) and declaring that their international transactions between related parties are conducted at arm's length and in accordance with the Regulations. In practice, this means that taxpayers in Israel are expected, and in fact required, to hold up-to-date transfer pricing documentation, which includes, as a minimum a transfer pricing study and an inter-company agreement relevant for the fiscal year end. Form No. 1385 is signed personally by an officer of the company (usually the company's chief financial officer), and although no personal liability has yet been claimed by the ITA in cases where the form was inaccurate, the ITA is debating internally on this matter. In addition, the ITA is entitled to demand full transfer pricing documentation within 60 days of such request. The ITA often asks to receive the documentation within a shorter period, usually 30 days or less; however, this can usually be extended to the 60 days prescribed under the Regulations. Since, as noted above, by signing Form No. 1385 the taxpayer's officer declares that the company is compliant with the arm's-length principle and that it maintains up-to-date transfer pricing documentation (i.e., transfer pricing study, inter-company agreement and also, where applicable, a transfer pricing policy), it is advisable to have in place an updated transfer pricing study on an annual basis. Penalties may be imposed on a taxpayer for not preparing and submitting transfer pricing documentation on time or at all. In addition to preventing penalties and fines, holding a transfer pricing study and other related transfer pricing documentation shifts the burden of proof to the assessing officer (AO) and enables the taxpayer to hold an arguable position regarding any determination made by the AO concerning transfer pricing adjustments. The deadline to prepare transfer pricing documentation is 31 May of the year after the tax year. any opinion from an accountant or lawyer, if such were given. It is recommended to update the transfer pricing study on an annual basis. Where the facts of the transaction or transactions under review have not changed materially (or at all), the entire transfer pricing study can remain the same except for the benchmark results, which need to be updated every year. As best practice, it is recommended to conduct a new search every two years and update the results of the original search on an annual basis. From time to time, due to a lack of local comparables, the search may be broadened to a more global search, so long as it abides by the Regulations and the instructions of the ITA. On 4 January 2017, a proposed legislation, which amends the Israeli Tax Ordinance (ITO), including new transfer pricing provisions with respect to Action 13 of the OECD's BEPS Action Plan, passed the first reading (out of three) in the Israeli parliament. The proposed legislation updates the provisions of Section 85A of the ITO and adds sections 85B and 85C to the ITO. The applicable effective date of the proposed legislation has not yet been determined. In light of the new proposed legislation regarding the adoption of new transfer pricing documentation provisions to be included in the ITO, the burden of transfer pricing documentation will grow as taxpayers will be required to submit further documentation, reports and data in order to comply with the new ITO documentation requirements. Accordingly, in addition to the regular local file (i.e., the transfer pricing study) Israeli taxpayers that are part of a multinational group will also be required to submit data at the corporate level: a master file accompanied with related data of the multinational group. In addition, an Israeli taxpayer who serves as the ultimate parent of a multinational group whose consolidated turnover exceeds 3.4 billion new Israeli shekels will be bound to submit a country-by-country report as well. Regulations incorporate both the OECD Guidelines and Section 482's approach towards determination of the correct analysis methods for examining an international transaction between related parties. As such, the regulations require that the arm's-length result of a controlled transaction be determined under the method that, given the facts and circumstances, provides the most reliable measure of an arm's-length result, where there is a preference of transactional transfer pricing methods over profit-based transfer pricing methods. transactional net margin method (TNMM, similar to the comparable profits method (CPM) in Section 482). If none of the above methods can be applied, other methods should be used that are most suitable under the circumstances. However, this should be justified both economically and legally, and the application of a different method cannot normally be justified when one of the above-prescribed methods is applicable. When applying a certain transfer pricing method, an adjustment is sometimes required to eliminate the effect of the difference derived from various comparison characteristics between the controlled and comparable uncontrolled transactions. According to the Regulations, a cross-border controlled transaction is considered to be at arm's length if, following the comparison to similar transactions, the result obtained does not deviate from the results of either the full range3 of values derived from comparable uncontrolled transactions when the CUP method is applied (under the assumption that no comparability adjustments were performed), or in the interquartile range when applying other methods. In a post-base erosion and profit-shifting (BEPS) area, where the adoption of BEPS measures has not yet been formalised in Israel but has been expressed by the ITA, the ITA places great focus on business or economic substance when mainly analysing value chains and transactions involving the transfer or use of intangible properties. This means that functions contributing to the creation of value, as well as where people are located, constitute important criteria when determining the appropriate attribution of profits among group members in multinationals. This may lead, according to the ITA's approach to declaring a transfer pricing analysis as not appropriate, and to the application, for example, of a profit split method instead of the TNMM. In other cases, the ITA has retroactively applied different methods from those used by the taxpayer, shifting between CUP and TNMM, in cases where profit split was not applicable. As mentioned above, where a transaction between related parties lacks any commercial rationality, the ITA may not recognise the transaction in its original form, and may treat it as an entirely different type of transaction that in its view would reflect the business reality of the transaction in a more adequate manner. Non-recognition can be contentious and a source of double taxation. The Israeli transfer pricing regulations do not provide specific guidelines for evaluating the arm's-length nature of inter-company financing transactions and thus follow a broader transfer pricing approach provided under the OECD Guidelines and Section 482 of the United States' regulations. Specifically for inter-company loans, the evaluation of the arm's-length nature is done by establishing an arm's-length interest rate based on interest rates applied in comparable third-party transactions. According to the OECD and Section 482, the transfer pricing methodology usually used when setting arm's-length interest rates is the CUP method, applying internal or external CUP analysis. The approach preferred by the ITA is the External CUP Method, which is in fact a market-valuation method, as it relies on market yields of publicly traded corporate bonds that are comparable to the assessed inter-company loan in terms credit-rating and loan terms when establishing the arm's-length interest rate. Since the ITA has expressed its endorsement of OECD's BEPS Action Plan, inter-company loan transactions will be the focus of increased scrutiny by the ITA. Therefore, Israeli taxpayers are advised to apply a new approach when establishing arm's-length interest rates for their inter-company loan transactions in accordance with the BEPS Actions 8–10 guidelines. This will combine the synthetic rating approach backed by audit trails and empirical evidence,4 such as a description of people functions involved, and evidence demonstrating the management and control of risks by relevant parties to the inter-company loan. In addition to the above, the fact that there are no thin-capitalisation rules in Israel will also contribute to the trend of increased tax audits relating to inter-company loan transactions. As no thin-capitalisation rules are in place, this enables Israeli borrowers in controlled loan transactions to be highly leveraged and assume high interest payments deductible for tax purposes in Israel. This issue will be resolved when Israel implements the recommendation prescribed under BEPS Action 4 and limits the interest payment amount deductible for income tax by applying a 'fixed ratio' (which equals a borrower's net deduction for interest or EBITDA to 10 per cent to 30 per cent) or a 'group ratio' (which equals a group's net deduction for interest or EBITDA). The Regulations incorporate the OECD Guidelines' approach towards the application of the profit split method. In general, the employment of the profit split method in documentation is quite limited. However, the profit split can be a method of choice for dispute resolution. a Comparable profit split method. Transfer prices are based on the division of combined operating profit between uncontrolled taxpayers whose transactions and activities are similar to those of the controlled taxpayers in the relevant business activity. Under this method, the uncontrolled parties' percentage shares of the combined operating profit or loss are used to allocate the combined operating profit or loss of the relevant business activity between the related parties. b Residual profit split method. This method involves two steps. First, operating income is allocated to each party in the controlled transactions to provide a market return for their routine contributions to the relevant business activity. Second, any residual profit is divided among the controlled taxpayers based on the relative value of their contributions of any valuable intangible property to the relevant business activity. This method is best suited for analysing the transfer of highly profitable intangibles. The Regulations do not contain specific guidance for the application of the profit split method. Nevertheless, this method is acceptable to tax administrators mainly when it is mostly used in cases where both entities contribute or own significant intangibles, and has recently been advocated by certain officials of the ITA. The profit split method is most often applied in the context of global value chains, where the global operations of a multinational corporation are significantly integrated. In Israel, following the OECD's BEPS Action Plan, tax practitioners are currently assessing the applicability of the profit split method in service transactions, which include the provision of significant services that contribute to the creation of profits and value (e.g., R&D, marketing, management) as a result of increased challenging by the ITA of cost-plus models and recharacterisation to profit splits. The ITA is implementing people-oriented analysis when conducting tax audits and, therefore, can in certain cases determine management services as a non-routine activity for purposes of profit splits. whether the Israeli R&D contractor is free to determine on its own the R&D budget or whether is bound to the authorisation of the entity financing the R&D activity. Concerning marketing services, the ITA challenges cost-plus models for marketing activity and recharacterises to distribution models. This means that an Israeli company who acts as a marketing services provider could be characterised as a distributor by the ITA, and thus be subject to an appropriate profit derived from revenue concerning the sales of the products in Israel. whether the employees of the marketing service provider are compensated by a certain percentage from sales of promoted products. Concerning management services, the ITA determination of management services as an intangible is based on the nature of the services. It means that management service incorporating strategic decision-making functions may be considered as an IP for recharacterises to profit split. Further, ITA officials have also recently noted that as the OECD suggests a safe harbour for non-value adding services of 'cost plus 5 per cent', it would not make sense that R&D services are priced similarly. In Israel, there are currently no specific regulations regarding non-value-adding services, as in the United States, for example, and the ITA is keen on analysis where the 'people' are located, according to their statements, when looking into the right method to be implemented. The cost-plus method compares gross margins of controlled and uncontrolled transactions. The cost-plus method is most often used to assess the markup earned by a service-providing entity who engages with related parties. The arm's-length price is measured by adding an appropriate gross profit (i.e., markup) to the controlled taxpayer's cost of producing the services involved in the controlled transaction. The cost-plus method applies where internal data is available, in which a service renderer provides the same or similar services to both controlled and uncontrolled parties and where it provides detailed information concerning comparable transactional costs. In practice, this method is usually not applicable for evaluating the arm's-length nature of intra-group services mainly because external data (i.e., transactions between two third parties) found in public databases cannot be reliably used when applying this method due to inconsistency among companies' financial data arising from the fact that companies allocate their costs using different accounting methods. The degree of consistency in accounting practices between the controlled transaction and the uncontrolled comparables materially affects the gross profit markup and the reliability of the result. When performing comparability analysis, the goal is to reach the most accurate pool of potential comparable companies. In doing so, the search process usually includes a quantitative screening followed by a qualitative screening. It is first essential to apply Standard Industry Classifications (SIC) codes, NACE (Nomenclature des Activités économiques dans la Communauté Européenne) codes, or both, as well as specific industry classifications employed by certain databases, which classify companies by the type of economic activity in which they are engaged and the types of products or services they sell. Following the application of the aforementioned industry codes, additional screening criteria are also applied, including geographic location, company status (i.e., active companies), company type, exclusion of operating subsidiaries from the search, years of available accounts, limitations regarding operating losses, etc. Depending on the nature of the tested transaction under review, in certain cases, additional quantitative screening criteria are also applied to yield a more accurate set of comparables. This mainly includes the application of different financial ratios such as R&D expenditure–sales, intangible assets–sales, inventory–sales, or property, plant and equipment (PPE)–sales. The next step is a qualitative screening, which focuses on examining the business descriptions of all remaining companies and then establishing a set of comparable companies. The Regulations do not provide a reference to a specific number of comparables required for the establishment of interquartile range results. In our opinion, between 10 and 20 comparables should suffice and the minimum is around five comparables. There is no quantitative limit; however, the credibility of a range composed of a large number of comparables may be brought into question. Regarding the locations of selected comparables, local (Israeli) comparables are preferred but are not often available. Practice has shown that the use of European or US comparables is also accepted by the ITA, as well as global benchmarks, so long as applicable adjustments were made (when required). However, this is examined case by case. There is a dedicated Transfer Pricing Department (TPD) within the ITA, which is responsible for performing audits and the economic analysis to determine the arm's-length price for a taxpayer's transactions. Further, the TPD has been given full authority to review (and tax) previously approved assessments, and to reopen final assessments that were approved up to three years before their inspection. The TPD also gives guidance and instructions to local tax assessment officers to screen and initiate audits on a wider level. In case of an audit by a local tax assessment officer, certain disagreements may be handed over to the TPD. In Israel, the tax authorities' transfer pricing unit audits both Israeli subsidiaries of multinational enterprises (MNEs) and local corporations in all matters related to transfer pricing. However, when it comes to the pricing and taxation of employee benefits such as ESOPs, the focus is naturally on the Israeli subsidiaries of MNEs. Taxpayers can dispute the proposed transfer pricing adjustments of the tax authorities by means of appeals, courts and through the use of treaties (when relevant). The matter of ESOPs has gained specific attention in audits performed by the TPD, involved other departments of the ITA and has generated three recent district court decisions, two of which are currently under appeal to the Israeli Supreme Court. Those Israeli district court decisions have ruled that an Israeli subsidiary working on the 'cost-plus basis' (i.e., utilising the TNMM/CPM methods) should include within the cost-plus model expenses associated with employees' social security payments, as well as options granted by the foreign parent corporation. Those rulings affected the activities of certain R&D subsidiaries in Israel significantly. The ITA does not usually interview persons outside the company undergoing an audit, although this is not prevented by legislation. It is common, however, to allow the professionals who consult the company to be interviewed by the ITA with regard to their work and to present them to the ITA as part of a 'hearing' held for the company. Such meetings occur both prior to and following the issuance of a transfer pricing tax assessment. With regard to intra-group information requirements, the ITA may request such information even if such information is held outside of Israel. If the company fails to present the requested information, it will most likely be negatively considered throughout the process, including in court, if the case is brought before it, potentially preventing the company from providing such information at a later stage. In January 2017, a proposed amendment to the Israeli Tax Ordinance that includes transfer pricing provisions, adopting anti-BEPS measures, passed the first reading (out of three) in the Israeli parliament. The proposed legislation aligns with Action 13 of the OECD's BEPS Action Plan and follows a formal resolution by the Israeli government to adopt the BEPS. In addition, on 12 May 2016, Israel signed the Multilateral Competent Authority Agreement for the automatic exchange of country-by-country reports (CbCRs), which allows all participating countries to bilaterally and automatically exchange CbCRs with each other. These steps constitute an indication that Israel is expected to change its documentation requirements to also include the creation and filing of CbCRs as well as legislation regarding surrogate filing. Adoption of the CbCR may imply the ITA's intention to implement a global tax position when assessing profit attribution among companies in a multinational corporation. It is important to note that the CbCR in itself could not alone be used by the ITA for determining transfer pricing adjustments. When pricing a transaction involving the right to exploit or the transfer of intangible assets, the Regulations adopt the OECD Guidelines' approach. In general, the most common transfer pricing methodology implemented in cases of exploitation of intangible assets (such as know-how, proprietary technology, patents, trade name or trademark and unique business model) is the CUP/CUT method using external data concerning comparable agreements entered into between independent parties, or when available, internal data provided by the taxpayer regarding its comparable uncontrolled transactions with third parties, for comparing the compensation terms stipulated in such agreements and accordingly establishing a royalty benchmark. The process of evaluating arm's-length pricing for the transfer or exploitation of intangibles is more complex and requires the valuation of the expected return derived from intangible assets at their present value. This ex ante pricing is based on the assessment of the taxpayer regarding the expected return. As such, it will most certainly deviate from the actual return of ex post outcomes. Recently, the ITA has demonstrated an implementation of the hard-to-value intangibles (HTVI) principles published by the OECD, in which it was willing to agree with ex ante assumptions as the ex post result could not have been anticipated by the (related) parties to the transaction under review. However, it is important to note that in certain cases the ITA will impose a tax adjustment based on ex post outcomes as it sees fit, although there is no specific regulation concerning such adjustments and each case is individually examined. The ITA has noted on several occasions that it intends to adopt the recommendation promulgated under Actions 8–10 of the OECD's BEPS project, with respect to intangibles. Therefore, it is expected that Israeli tax practitioners will conduct their inspections of transactions involving intangibles in accordance with the new HTVI rules, with greater emphasis regarding the attribution of profits based on value creation. Therefore, it is recommended, when conducting a transfer pricing study for transactions involving intangible assets, to delineate the transaction in an appropriate manner that reflects the business reality of the transaction, as well as performing a detailed functional analysis with emphasis on important functions contributing to the creation and value of the intangible assets under review as well as related risks. The ITA's audits into the commercialisation of intangibles that originate in Israel are growing; however, holding supportive documentation has proven to be an effective way to rebut and mitigate any assumed ITA adjustments. The matter of DEMPE functions has been 'on the table' of the ITA in recent years, mainly with regard to the exploitation of R&D originating in Israel and R&D subsidiaries established in Israel by foreign entities. According to ITA officials, DEMPE is one of the matters considered by the ITA when auditing a transfer pricing case, but not necessarily the only one. Moreover, these aspects have been relevant to ITA audits even before BEPS. Due to the extensive R&D functions carried out by Israeli companies, DEMPE is a tool used by the ITA and thus should be considered by any transfer pricing practitioner. Transfer pricing cases rarely go into court in Israel. Since the adoption of the Regulations 10 years ago, very few transfer pricing cases have been submitted to the courts, with most cases being settled in discussions with the ITA. APAs are not common in Israel, although they exist, and settlement can sometimes also be carried forward as part of an APA. However, settling a past audit cannot guarantee that the same treatment will be awarded in the future, unless an APA is reached. Investigations usually stem from either a local tax assessment officer's review or specific audits by the TPD. The process is normally initiated by a request for the applicable transfer pricing study or studies, and the inter-company agreements. The current legal time limit for the presentation of a study is within 60 days; however, often the ITA requests to receive the study within a shorter period. If this is the case, the taxpayer can request to present the study within 60 days, and not within the shorter period. However, this already signals to the ITA that the study may have not been prepared in time, and may indicate that an audit is required. This time frame normally cannot be extended beyond 60 days. Following the presentation of the study and review by the ITA, it is likely that if the ITA has any remarks or questions, it will summon the company for a meeting, usually prior to the formalisation of an assessment by the ITA. Assessments are usually followed by meetings between the ITA, the company and its transfer pricing consultants, to rebut the assessment (and if successful then the assessment is adjusted). It is important to note that audits often are wider than just transfer pricing, and also involve permanent establishments and controlled foreign companies; however, transfer pricing methods and tools are usually acceptable in such audits. Very few transfer pricing cases make their way to the courts in Israel, with all recent cases having to do with the inclusion of the expenses related to ESOPs in the cost-plus basis of Israeli companies providing R&D services to their foreign parent corporations. In these cases, the district courts in Israel have reaffirmed that options granted to employees are related to their employment benefits, and thus should be included as part of the 'cost' of their employment. The courts rejected the analogy to the Xilinx case in the US, as it was irrelevant to the providing of R&D services on a cost-plus (TNMM) basis, and the claim that this grant of options dilutes the shareholders (and thus already acknowledged) has also been rejected by the courts, as such grant is supposed to increase the value of the company, and thus of the shareholders' holdings. Important takeaways from those court rulings are the facts that the court was somewhat reluctant to take into consideration (although eventually it did) a transfer pricing study that was performed retroactively, well after the date on which it was supposed to be in place, and thus may not have correctly reflected the Regulations; and that the court was also reluctant to accept results that were not segmented properly. Additionally, the court rejected the inter-company agreement between the parties, since it did not abide by the requirements of the Regulations and the OECD. The ITA is entitled to impose secondary adjustments and, in fact, does so in practice. For example, if the taxpayer had performed an adjustment (the first adjustment) according to its transfer pricing policy and determined its profit to a certain percentage (based on its transfer pricing study or transfer pricing range), and the ITA did not agree with its policy or benchmark analysis, the ITA can perform a secondary adjustment in such a case. Penalties are not common in Israel, and although discussed as a possibility, have not yet been enacted. Adjustments, linkage, interest and statutory fines on assessments, which already appear in the Israeli Tax Ordinance, currently apply also to transfer pricing. It is also important to note in this respect that ITA officials have in the past indicated that signing a Form No. 1385, which includes a personal affidavit by a company's officer, when such affidavit is wrong, can lead to criminal liability where the affidavit is incorrect, although such liability has not been imposed to date. As noted above, the ITA may use either Section 85A and the Regulations, or other means such as Section 86; however, no specific measures relating to transfer pricing matters have been enacted, since, among other reasons, the current measures (i.e., Section 86) are general enough to be implemented (also with regard to transfer pricing). Double taxation would seem to be unavoidable in such cases where the other jurisdiction has taxed the company due to transfer pricing issues. For example, in the event a related party in a foreign jurisdiction is characterised as a permanent establishment, is accused of not having adequate transfer pricing documentation or did not implement it, the foreign jurisdiction will tax it accordingly and the ITA will not take this into consideration, which will result in double taxation. VAT and inter-company transactions have been the focus of several recent ITA audits and of a recent court ruling, which imposed VAT on sales performed from Israel. 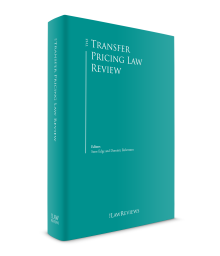 Although this matter is tied heavily to transfer pricing, the matter of transfer pricing itself was not argued by the parties in this case and was not decided by the court. Customs are also of relevance when the sale of tangible goods takes place between related parties. However, since transfer pricing cases rarely reach the courts, any use of transfer pricing rules is usually part of the discussion with customs. In a post-BEPS era, the ITA announced that it would adopt the BEPS principles as an amendment to the Income Tax Ordinance with respect to transfer pricing matters. At this stage, the amendment has already passed the first of three readings in the Israeli parliament. The applicable effective date of the proposed legislation has not yet been determined. The signing of Multilateral Competent Authority Agreement for the automatic exchange of CbCRs as well as the steps being taken regarding proposed regulation, implementing Action 13 of the OECD's BEPS Action Plan, indicating the adoption of the three-tier documentation approach of CbCRs, master files and local files supplemented with additional relevant material: although we do not expect a large number of Israeli MNEs to be subject to CbCRs due to the size of the Israeli market, we do expect that subsidiaries of foreign MNEs may be required to file where their parent is obligated to file it in its jurisdiction. The increased focus of the ITA towards business or economic substance when mainly analysing value chains and transactions involving the transfer or use of intangible properties: this means that functions contributing to the creation of value, as well as where people are located constitute important criteria when determining the appropriate attribution of profits among group members in multinationals. We see this also affecting the grants granted by the Israeli government to R&D centres in Israel. The ITA's intention regarding the adoption of the recommendation promulgated under Actions 8–10 of the OECD's BEPS project, with respect to intangibles, should be taken into consideration by Israeli tax practitioners while conducting their inspections of transactions involving intangibles in accordance with the new rules for HTVI, with greater emphasis regarding the attribution of profits based on value creation, also taking into consideration the DEMPE principles. Therefore, taxpayers are recommended to conduct transfer pricing studies in a manner that is in line with the OECD's recommendation. Special importance and emphasis should be devoted to appropriate delineation of the tested transaction in a manner that reflects the business reality of the transaction, as well as the performance of a detailed functional analysis, emphasising important functions contributing to the creation and value of the intangible assets under review as well as related risks. The ITA's intention regarding the adoption of the recommendation promulgated under Actions 8–10 of the OECD's BEPS project, with respect to inter-company financing transactions, should be taken into consideration by taxpayers when constructing their intra-group financing. It is therefore advised that financing transactions be properly constructed and documented in accordance with the BEPS Actions 8–10 guidelines, focusing on a detailed description of people functions involved and empirical evidence demonstrating the management and control of risks by relevant parties involved in a controlled financing transaction. The current assessment by the ITA concerning the applicability of the profit split method in service transactions that include the provision of significant services that contribute to the creation of profits (e.g., R&D, marketing and management). Still, this is more of an evolution than a revolution, as due to the significant level of R&D activity in Israel, the ITA has already been focusing, inter alia, on lines similar to those presented by the BEPS, and thus we do not expect the nature of the audits to change, but rather their intensity and scope. 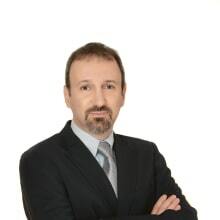 1 Eyal Bar-Zvi is a partner at Herzog Fox & Neeman Law Offices. The author wishes to thank Yariv Ben-Dov and Annette Cohen for their contribution to this chapter. 2 Concerning financing transactions, the provisions of Section 85A explicitly address inter-company credit transactions (loans) and capital notes. However, in practice all types of financial arrangements between related-parties must be transacted at arm's length. 3 The full range is spread between the minimum and maximum prices or percentile. 4 Audit trails or empirical evidence may include the number of FTEs on the payroll of the lender; a creditworthiness analysis of the borrower conducted by the lender; evidence of negotiation of the clauses to the inter-company loan agreement, etc. 5 Development, enhancement, maintenance, protection and exploitation of intangibles.